With the release of the body firmware 1.10, Fujifilm has added custom frame lines to the optical viewfinder. So if you read the issues section below you will find that originally, there were no frame lines for your custom focal lengths. With the firmware upgrade, if you set the camera to 50mm or 18mm or 75mm you will get an approximate frame line that is fairly accurate. With lenses that are 15mm and 12mm the angle of view is wider than what the optical viewfinder shows so the camera lets you know this by putting a box with an arrow pointing out in each corner of the frame. When testing these new features, it seems like the 15mm lens is right at the edge of what the view finder sees and you get about 110% of what you see in the frame. This is awesome because it makes using the manual lenses on the Fuji X-Pro1 much easier and it works with non Fuji branded adapter. Although…the lens correction features don’t work. I’m assuming that if you want those to work you must bite the bullet and pay for the Fuji branded adapter with the electronic contacts. This will, I assume unlock the lens correction features and allow adjustment. Hey if you’re cheap like me and have Lightroom with saved actions you may not need the lens correction features. You can just adjust in Lightroom. The Fuji X-Pro1 has been a great camera to shoot this month. I’ve gotten to really spend some time with it, and put it through the paces. I’ve been waiting anxiously for Fuji film to release their adapter for the Leica M mount to Fuji X mount, but it’s taking so long, that I couldn’t wait any longer. I broke down and got a Kipon L/M to FX (Leica M mount to Fuji X mount) adapter. There are other companies like Novaflex that have adapters for the Leica M mount to Fuji X-Pro1, but I can’t seem to find where to buy them. Looking on their site is no help and considering the price of the other adapters, I think this would be out of my budget. This adapter wasn’t exactly “Cheap” but I had some credit on Paypal and decided to use it. I found this adapter on Ebay from Bonds Camera in HK. I paid $72 USD and to me that’s pretty expensive for an adapter. I normally would be so fast to spend that kind of money but considering I had a credit on Paypal, I was more inclined to purchase the adapter. The adapter is made of metal, well constructed and solid. The planes of each side of the adapter are true and square and are parallel to each other. The Kipon L/M to FX adapter has a great paint job that fits the camera nicely and only has a discrete “Kipon L/M to FX” text in white on the top of the Adapter. This can be taped over for those of you that like to go incognito. This Kipon L/M to FX adapter fits very snuggly onto the Fuji X-Pro1 Body and the Leica Lenses fit very nicely onto the adapter. There is a very small metal lens release on the side of the adapter that releases the lenses and it is very solid, has no play and, doesn’t get stuck at all. The Leica M lenses are very easily twisted on and off, and can be done quickly if you are in a quick lens change situation. I like the side and usability of the lens release lever. It doesn’t get in the way of your fingers and is place on the shooting hand side of the camera. This may seem like it may get in the way but because of the way you would be holding the camera it doesn’t. Nice small touch. The set up on the camera was very easy and straight forward. You go to the menu system of the camera and you want to scroll down to shooting menu 3, until you see the option to “shoot with out lens”. You want to turn that feature on. Right above that you will see the focal length setting and you want to set that to the focal length of your lens. In this menu you have the option of setting two custom focal lengths that may not be listed. Fuji has 4 that are preset 21mm, 24mm, 28mm, and 35mm. If you have a different focal length than these set the custom ones to correspond with lenses that you have so that it will be easy to go back and select, and you won’t have to keep setting them over again. What is frustrating about using these adapters is, even after you set the focal length, you don’t get an accurate frame line. For example, I set the camera to 50mm since this focal length doesn’t have a factory preset (21mm, 24mm, 28mm and 35mm), when you put the camera in OVF (optical viewfinder mode), you do not get a 50mm frame line. Actually, you don’t get any frame line. Not good at all because how do you frame your image without knowing where the frame starts and stops. Fuji did set the camera to remove or add the optical view finder magnification based on your custom focal length setting. Example, if I custom set a 18mm focal length lens, the camera would remove the magnification so the OVF (optical view finder) would give a wider angle of view. (although inaccurate). Now, if I custom set the camera to a 50mm or 75mm focal length lens, then the camera would add the magnification to give a more close view (although also inaccurate). My opinion, that’s nice….but if it’s not accurate then it’s like putting a band-aid on when you cut off your arm. Silly! After using it a little more, I realized that most of the time, when using manual lenses, you need to use the EVF (electronic view finder). First it gives you the accurate framing, plus if you want to accurately manual focus, you need to do so with the EVF. So the OVF thing is only an issue when you want to zone focus. With a little practice and test shots you can guess where the frame lines are and get close, framing wise. I just think it’s annoying that I have to do that. The Kipon Leica M lens to Fuji X mount (L/M-FX) adapter is well made, works well, and is a must have if you have any old Leica M mount Lenses. The camera it’s self has some quirks about the usability in OVF mode, but besides having a little lag on the EVF the use is easy to set up and fun to use. Just remember to set the focal length when changing lenses. In actual use, you can get fairly quick with the manual focus and the ability to press the horizontal scroll wheel to magnify while manual focusing is a great touch. Remember it only works in manual focus mode so set the focus to manual and shoot away. I’ll be doing more reviews about the actual quality of the lenses on the Fuji X-Pro1, so stay tuned. Over all, like I said, the Adapter gets a High Value to Cost Ratio. 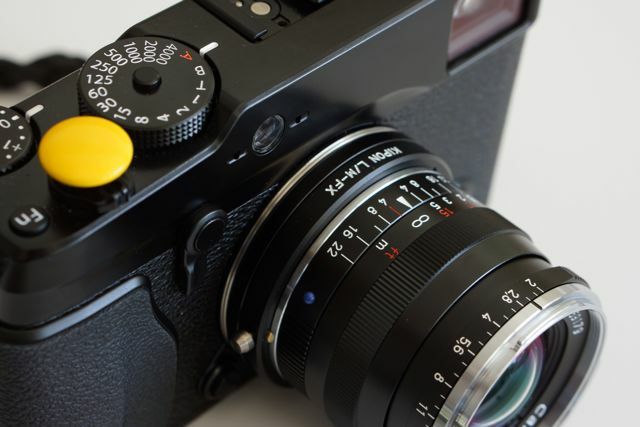 If you own any Leica M mount Lenses it’s a must have, if you don’t have any Leica M lenses you may want to consider this adapter still if you enjoy manual focus. There are many Leica M lenses out there for great deals that it may justify the cost. Happy Image Making!! 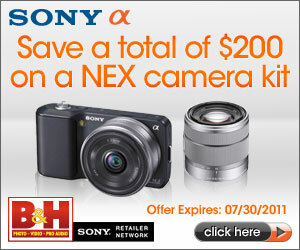 You can find the Leica M to Fuji X-Pro1 adapter at Amazon for far less than I paid for mine. Or you can use the trusted sellers links in the right side bar to search for yourself. Thanks for your support of this site. Help! 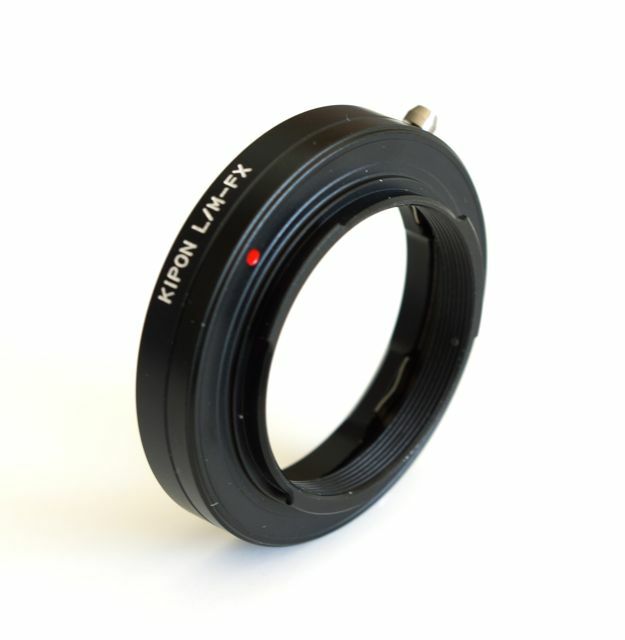 I cannot figure out how to attach my Leica lens with the L39 to LM adapter to the Kipon Helicoid L/M-FX M adapter. Can you help me with this? What seems to be the problem? What issues are you running into? More info will allow me to help solve the issue.